If you want to learn sailing,some might say this is the soft option.If you want to be a dedicated go anywhere sea-dog then I would agree.You probably should learn your art in the dark cold waters north of the UK.On the other hand those who just want a gentle hobby without too much discomfort would be well advised to look to the Algarve and probably the quality marinas around Lagos.This is the warmer gentler Atlantic Ocean. To learn to sail in this region your first port of call should be The Algarve Sailing Centre (click me to go there).They are based in Lagos and are the organisation to trust.By the way they also do power boat tuition as well. They also do land based/shore courses for those who want to learn the art os good seamanship but are not able for whatever reason;to commit to a full-on course. If you wish to charter boats of any kind the leaders in the Algarve region are SOUTH WEST CHARTERS.COM (visit them by clicking me).To give you an idea;to charter a boat costs around 50 euros for half-day. Full days are about 80 euros.Those prices being per person. Southwest charters sail out of Lagos marina. This is only is 45 minutes from Faro airport. Please click me to check up on the cost of FLIGHTS. Lagos is 2.5 hours, by car, from both Lisbon and Seville. Lagos marina is I believe;the only marina with the "Euromarina Anchor Award" and with the added benefit of the European Blue Flag. 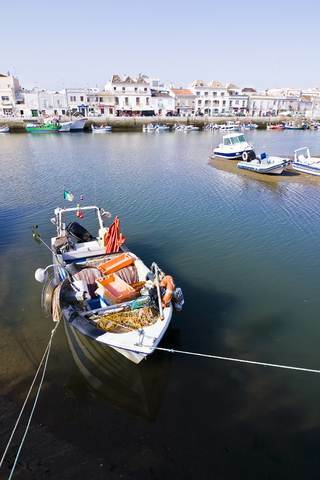 There are plenty of restaurants and bars in and around the Marina,which is connected by a footbridge to the historic old town of Lagos and is within walking distance to the beautifull Meia praia beach. ALGARVE-SAILING is an ongoing article so please bookmark this page or follow our blog which will keep you up to date when we add new content.You can follow the blog by clicking the orange rss feed or the google/ yahoo buttons.Top left any page. Another great option for ALGARVE-SAILING is the Faro Sailing school owned by Peter and Lorie Lightfoot.Very experienced and able sailors. they are both RYA/MCA Yachtmaster ocean qualified.In other words vastly experienced. They set up the Faro sailing school about seven years ago and before that they apparently ran the Ibiza sailing school for five years.Lots of research went into finding the ideal location for their new sailing school.Faro on the Algarve coastline was chosen for its location close to Faro international airport.This was for ease of access for those wishing to sail these lovely waters.In their words being tidal was another big clincher for locating there. They do a good range of courses for different capabilities,some I think lead to sailing qualifications.I also believe the complete novice is catered for.You can book 1 day courses up to five days,with very affordable prices.They offer year round bookings to suit allcomers. I believe Lorie does all the bookings and looks after clients from booking to departure.You cannot ask for more than the owners being so involved with everything,it shows complete deication and the knowledge that any problems or issues can be dealt with instantly;by those who really matter.As to the region;I believe the Algarve coastline and islands offer some of the most dramatic and awesome coastline on the planet. It is apparently the ideal place to learn to sail on what is popularly known as the "costa de la luz",or the Coast of light. Great for families is the Portugal Holidays Ocean Club Beach Resort. They even offer free tuition to get you started.As well as this they offer childrens sailing lessons and the youngest age for this is only six.What more could families ask for? 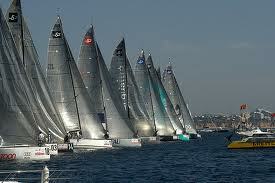 ALGARVE-SAILING at The Ocean Club Beach resort is provided on a pay as you go basis. Which allows families to keep control of their expenditure.The free sailing lessons begin at the start of the week for those looking to brush up on the basics and instructors are always on hand during the week to give advice and top sailing advice.. The sailing tuition provided for children of age 6 years upwards is via one of their childcare clubs, and these are run as part of the whole activity programme. The Algarve in summer can be a great place for novices as the Atlantic ocean is often very calm.Of course the Atlantic also provides more challenging conditions for the more advanced.The well known Atlantic swell can also be strong enough to severely limit sailing tuition. Their introduction to ALGARVE-SAILING lets the instructors introduce you to the basic skills enabling novices to set out on their sailing in a Laser Pico and lessons are available in 1/2 or 1 hour sessions.Also refresher sailing instuction is provided for those who have been introduced to sailing in the past but need to brush up the memory and skills in land based lessons. Again these lessons are available in 1/2 or 1 hour sessions.Improver sailors can involve themselves in one of the Clinics to progress to race techniques, trapezing, asymmetrics and catamaran sessions. Families should be very pleased to have such a good offering of instruction to sailing in such a cost effective way.Those wanting to get their kids learning sailing skills early have a great opportunity here. EAST ALGARVE-SAILING.The East Algarve is growing touristically at a rapid rate.When we bought our first apartment there six years ago it was relatively quiet and there were not too many activities for the active holiday maker.This is definitely changing. In fact in 2011 Tavira is making a strong bid to become the sailing capital of the whole Algarve.The Tavira Sailing Project is being headed up by the towns Nautical club and a banking group knwn as Montepio is providing backing for their ambitious plans. Plans included in march staging the Iberian class i 420 class sailing competition.This involves the top 33 sailing boats from both Spain and Portugal.This kicked off 5 months of high class sailing competitions through Tavira.This involved the junior championships in April 2011,followed by more i420 class competition.This was followed by the Youth Championships in early June and then more Optimists i420 class competitions. Tavira is also going to stage the ISAF YOUTH CHAMPIONSHIPS IN 2014.They intend to keep sailing right at the forefront of Tavira Activities for the forseeable future and thus throwing down the Gauntlet to other Algarve Towns to keep up if they can.This all bodes well for sailing activities in the East for those wanting to take part in this prestigious sport. 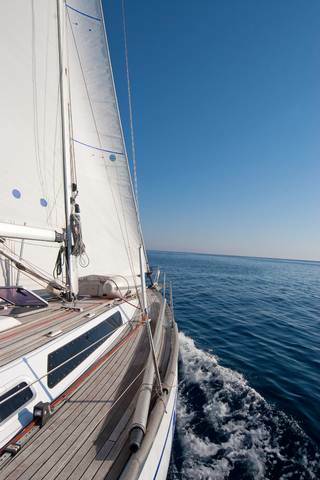 ALGARVE-SAILING TO Check out thousands of holiday properties.You deal direct with the owner.No charges from us. The above picture shows the Tavira Sea Channel..Costasur is a company specialising in ALGARVE-SAILING yacht charters in Tavira, Portugal East Algarve. 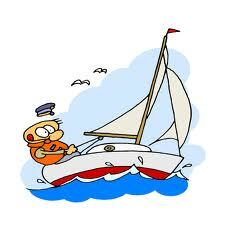 You can hire for boat charters, sailing yachts, catamarans. With a yacht charter, you will be able to travel along the length of the coast of Tavira, enjoying the beautiful landscapes and the Atlantic Ocean waves.If this is your sport it is a great way to relax away from the throngs of people onshore during the heat of summer.So you can enjoy a wonderful holiday in Tavira, in a hire boat. Go tov www.taviracostasur.com where you can hire fishing boats, yachts, charter boats, sailing boats, catamarans etc. From the wide range of options they have available, you will find what you are looking for and will be able to arrange a fantastic ALGARVE-SAILING HOLIDAY in the water on the Algarve coast.You will also have the wonderfull town of Tavira as your base whenever you wish to come ashore.